Based on the foundation that made Fujitsu an industry leader in production scanning, the fi-5950 continues this legacy of delivering fast scanning speeds, high reliability and incorporates features that help provide the ultimate in productivity. Combine a rated speed of 135 ppm (Simplex) and 270 ipm (Duplex), true 600-dpi optical resolution, dual-CCD scanning arrays and a black/white switchable background offer maximum flexibility with a wide variety of applications to achieve outstanding image quality. The scanner fits the bill in demanding environments such as service bureaus, backfile conversions or many other paper-intensive industries delivering a daily duty cycle of up to 100,000 sheets (fi-6800 is 60K per day) and consumable life of 600,000 sheets. The 500 page capacity feeder and document stacker flawlessly feeds your documents and then returns them to a neat stack for easy processing. 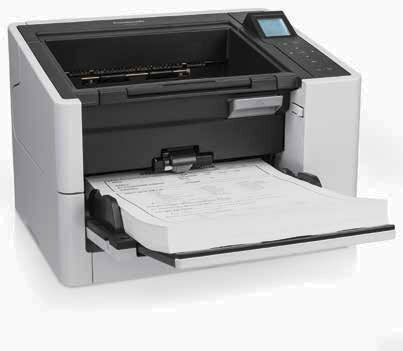 The feeder's design can handle a variety of document types and sizes from A7 to A3. For smaller batches, the feeder can be configured to have smaller capacities of 250 or 500 documents. 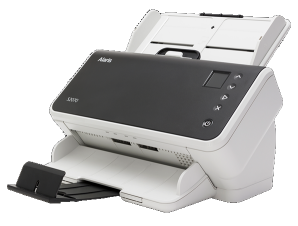 The 500 page automatic document feeder (ADF) accommodates a wide range of documents sizes from 2.07” x 2.91” to 12” x 17” with long document scanning capability of up to 34”. In addition to fast scanning speeds, the fi-5950 includes many scanning tools to improve the batch scanning process. 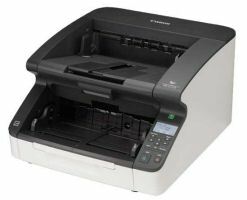 The fi-5950 even provides efficiency after documents have been scanned with an Imprinter option to print a physical string on documents. The fi-5950 scanner can be upgraded with a pre and/or post scan imprinter option. Service Options *Terms and conditions apply. A service contract must be executed to purchase all service programs noted in this document.